Exposure/Visibility. Gain business exposure in the community through the Chamber General Assembly announcements and many other avenues such as sponsorship and exhibition opportunities. For a nominal fee, we will create a web page for you including hyperlinks to your existing site. Referrals. The Chamber receives hundreds of calls and websites inquiries each year to local businesses and services. 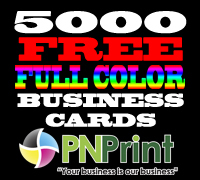 Only Chamber members are referred. Cost Effective Advertising And Publicity. Members may advertise annually in your exclusive, widely distributed official “The Catalyst” newsletter. Chamber weekly email updates and calendar, website banner ads and many more. Programs And Events. The Chamber sponsors numerous programs and events, including Dancing like a Star, and Paskong Pilipino every year. Business Development And Relationship Building Opportunities. Monthly After Hours Networking Mixers, quarterly General Members Assembly and other events, other members an opportunity to a create new business contacts, meet potential customers and share ideas. The "host" business organization receives the opportunity to showcase its own business at these events. Political Empowerment And Access To Community Leaders. Through Legislative Committee and positive relationship with the Government, members are updated regularly on local state and federal issues affecting businesses. Our close contacts with city, county, and state legislators allow the Chamber to communicate to our members, regarding issues of prime importance. Professional Development Workshops And Seminars. Expand your professional expertise with low cost, high-quality seminars, workshops and other training events. These are led by experts on a variety of business topics including sales, marketing, tax planning, strategies, investments, and many more. Examples are: Toastmasters International Sales, Marketing and Networking Workshops; Leadership Opportunities, etc. Membership Database Access. The Chamber is fast growing, and access to this database is a great way to reach out to other members and business members. Members Only Services. Bonuses and member to-member discount programs and many others. Credibility. 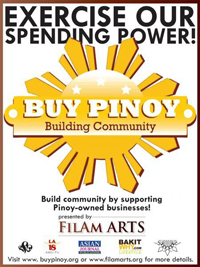 Membership means you belong to the Filipino American community not only in San Fernando Valley, but the greater LA County as well.